Kauai North Shore can be summed up in one word: Paradise! Waterfalls, verdant valleys, white sand beaches, lush jungles, tropical flowers, and quaint laid back communities. This enchanted slice of paradise is where you will find the towns of Kilauea, Haena, Hanalei, Anini and the upscale community of Princeville. You can surf, snorkel or swim in the turquoise-waters of Hanalei Bay, visit historical landmarks, wander through quaint shops, and enjoy a meal at some of Kauai’s finest local eateries. Kauai’s North Shore is calling. Hanalei town sits on the edge of the famous crescent shaped Hanalei Bay. The 2 mile long bay is alive with activity year round. During the summer months the calm waters of the bay are inviting for stand up paddle boarding, sailing, kayaking, surf lessons and fishing from the historic Hanalei Pier. During the winter months the waters are a playground for the experienced water-men and women as they ride the giant swells of the winters Pacific Storms. From Hanalei to the end of the road at Kee Beach you will traverse a 8 miles scenic drive, where you will find many opportunities for a postcard perfect photo as well as popular attractions including: Lumahai Beach, Maniniholo Dry Caves, Waikanaloa Wet Caves, Haena Beach Park where the road finally ends and the Na Pali Coast begins. Hanalei and north shore activities include kayaking the Napali, zipline tours, horseback riding adventures, standup paddle and surf lessons. Get out and explore the hidden north shore while hiking the first 2 miles of the Kalalau Trail. The day hike ends at the beautiful Hanakapiai Beach (not for swimming) at the base of the Hanakapiai Valley. The Napali Coast is inaccessible by road and is truly one of the most pristine, untouched and beautiful island coastlines. 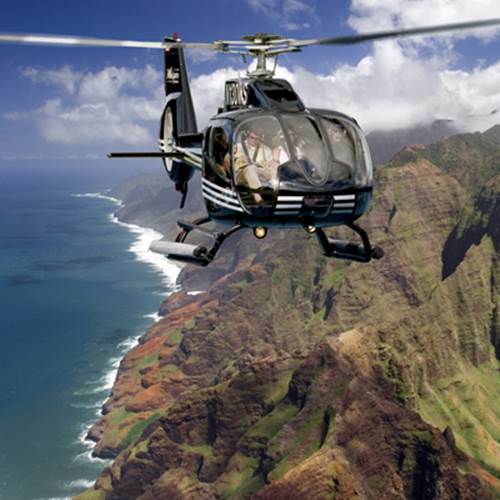 Best toured by helicopter or boat, the fifteen mile stretch of the Napali Coast will give you views of 3,000 feet-high densely green cliffs that dramatically meet the turquoise blue ocean. The waters off the Napali Coast are a playground for several species of dolphins as well as Hawaii’s Humpback Whales during the winter months. The crescent shaped Hanalei Bay, back-dropped with dramatic views of Kauai’s interior misted mountain ranges, is the center of all activity on Kauai’s North Shore. Famous for sailing, paddle boarding, surfing and swimming. Discover a collection of fun activities, unique shops, galleries and eateries in what used to be the Old Hanalei School House and Ching Young Village.